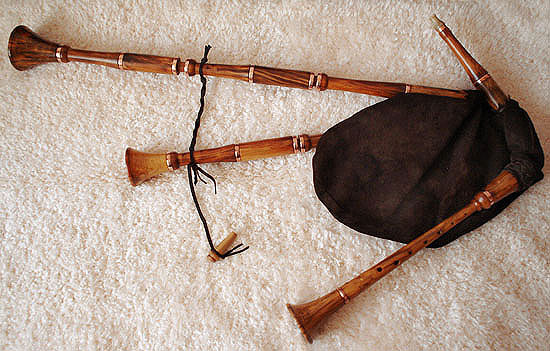 A type of instrument, from 11th till 16th century spread throughout Europe, if only we can believe authors of a multitude of depictions, from wall paintings and church statues to the tiniest book iluminations. Some of them can be found in our country as well. 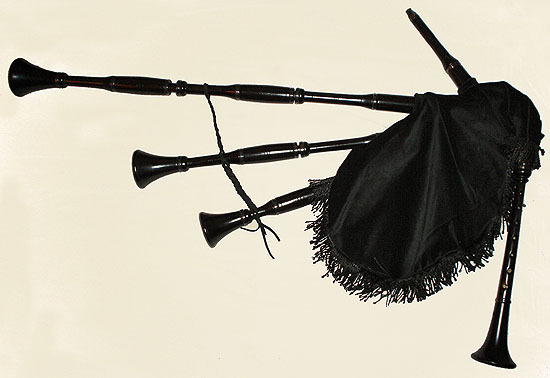 None of the instruments was preserved, but the obvious resemblance of some of today's western Europe's folk bagpipes helped to constitute a more or less stabilised form of the so-called Mediaeval pipes. 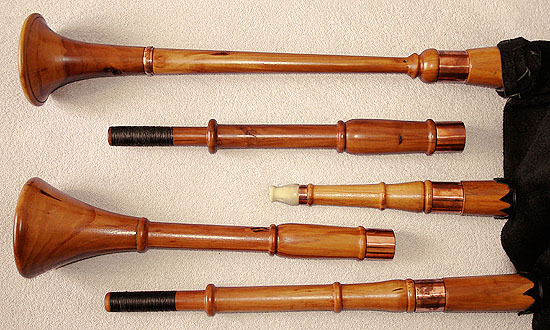 The chanter - salmaj, is a shawm, a double-reed woodwind instrument on its own. It has a conical bore and a wide flaring bell. 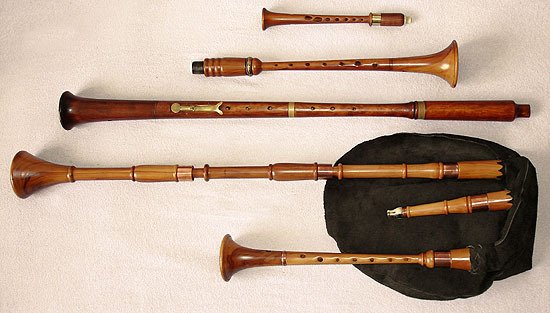 The fingerholes in number of 8, and possibility of overblowing to higher register, give it a compass of one and half octave chromatic. 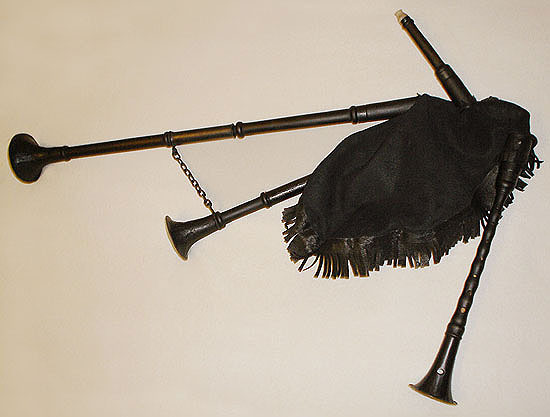 The drones, one to three, in common arrangement Bass – Baritone (fifth) – Tenor can be retuned in range of a whole tone. The sound is strong and piercing, suitable for wide open space, outdoors. Ladenie vysoke d-salmaj, burdon E/D, alebo c-salmaj, burdon D/C stredne G-salmaj, burdony preladitelne Aea/Gdg, alebo F-salmaj, burdony Gd/Fc hlboke salmaje C alebo D.